Innisfree's Green Tea Seed Skin enriched with organic Jeju Green Tea and Green Tea seeds is a refreshing toner that delivers intense hydration helps soften skin and strengthen it's natural moisture barrier. Infused with 3.5 times more amino acids, this nutrient-rich formula opens the moisture path of dehydrated skin to reveal a dewy and clear complexion. Explore the entire range of Toners & Mists available on Nykaa. 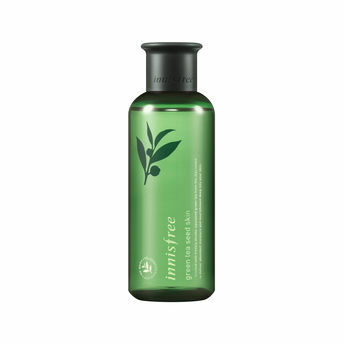 Shop more Innisfree products here.You can browse through the complete world of Innisfree Toners & Mists .